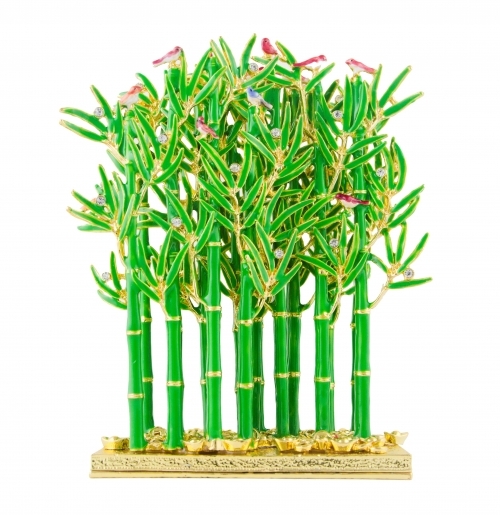 Bamboo in Chinese traditional culture not only represents safety and good luck, but also represents up and up in your career life. 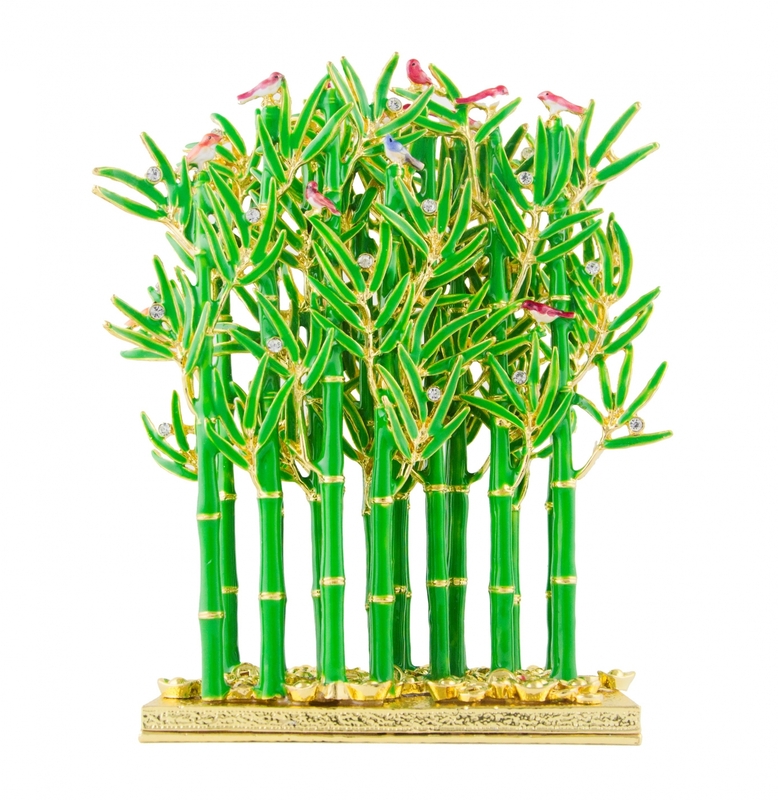 Display such feng shui bamboo forest of prosperity in Wood location (East or SE) to bring wealth as well as provide a safeguard for your house. The colorful birds on the bamboo stands for to bring opportunities for all kinds of success and recognition. The dimension of this feng shui tree is approx. 5.25" x 2.5" x 6.5". It is made of alloy embedded with gems.